Visible Body team members host a lot of training sessions for instructors interested in using technology with their healthcare students. We also host talks given by instructors who use Visible Body technology. This is a collection of recent presentations. We are sharing them so that instructors can access them anytime. 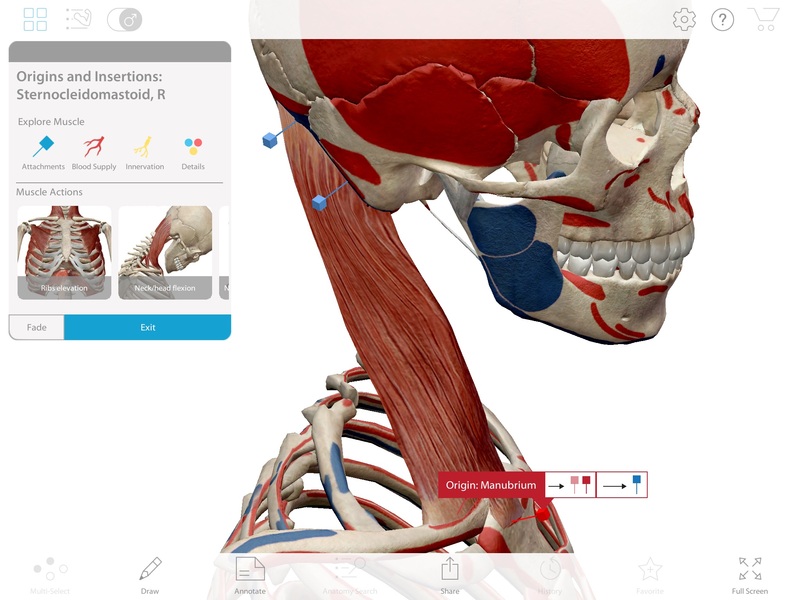 Whether you are new to 3D anatomy models, are interested in teaching a flipped classroom model or an online anatomy course, want to incorporate technology into your labs, or are looking to create interactive assignments that track and test student learning, these training materials are for you. If you are ready for your own personal instructor demo, want to request a free instructor trial to one of our products, or have questions, use the form at the bottom of the page to contact our team! Teaching a flipped anatomy class or interested in using visual interactive assets in class with students? Watch a two-minute demo that shows how the process of olfaction can be introduced with a brief animation and further taught by having students explore and dissect a 3D virtual model of the head. 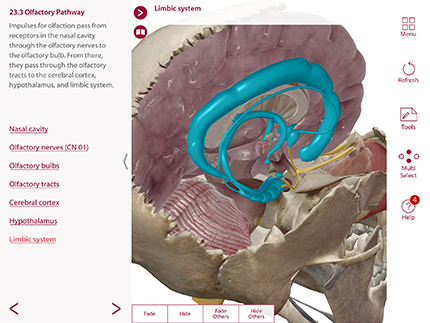 This demo is for instructors who are new to interactive anatomy. The product shown is Visible Body's Anatomy & Physiology. 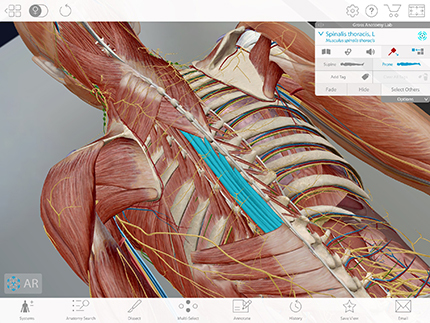 Looking to add technology to your anatomy lab? In this four-part demonstration, Professor Tomer Kanan from the University of Illinois at Chicago reviews the ways he has augmented his cadaver lab course with virtual 3D anatomy models: He uses 3D anatomy technology to lecture before a dissection. Students use the 3D anatomy models and the online quizzing to study and review during class and lab time and when studying on their own. This demo is for instructors interested in adding technology to a lab with human cadavers or looking to completely replace cadavers with a technology solution. The product shown is Visible Body's Courseware. Want to track student learning and offer interactive dissection exercises? 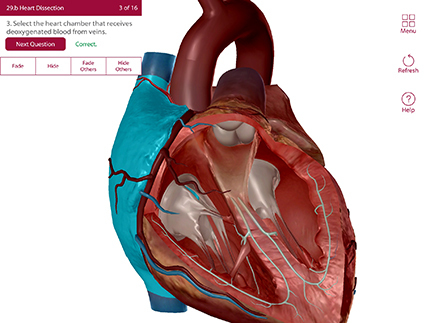 In this three-part webinar, Lora Sandhusen, our instructor technology trainer, shows how to use Visible Body's online 3D anatomy models, combined with our quiz database and quiz creation features, to make your own interactive assessments, use pre-made quizzes we offer, or edit our quizzes as you need! Students can take these quizzes from a school or home computer, and performance is tracked in Visible Body's Courseware platform. This webcast for Harper College’s physical therapist assistant (PTA) associate degree program demonstrates how to use 3D interactive models available online to teach a functional anatomy course. The products demonstrated include Visible Body’s Courseware and Muscle Premium. The 30-minute webcast demonstrates how to create tailored lesson plans for physical therapy students, use normal 3D anatomy models or pathology models in lecture and for homework, create interactive quizzing that uses content from Visible Body (3D models, videos, interactive lessons, lab activities) or your favorite images, videos, and ebooks. Want your own instructor demo or have a question about using Visible Body to teach? Contact our team!